If you're a PC gamer, then you're no doubt already accustomed to worlds populated by orcs, ghûls, graugs and the like. If that's the case, the chances are relatively high that you don't go out much and that the sensation of the sun hitting your skin is an unfamiliar one. Console gamers however, have had less exposure to these types of creatures. 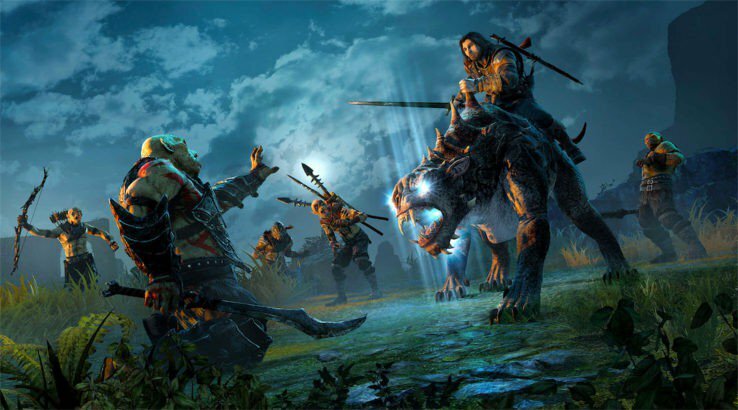 That changed with the release of 2014's Middle-Earth: Shadow of Mordor, which was a rare dalliance for console gamers to delve into the curious world created by Tolkien. it must have hit the right orc, as it returns with this sequel. After surviving the ordeals of the first game, the ranger Talion returns to fight evil. Also back by his side, literally speaking, is Celebrimor, the spirit of the elf lord, whose mystical powers Talion can embrace and use on their many quests throughout the land. Their ultimate goal? To confront and destroy the Dark Lord Sauron. With such beautiful eyes, it had to be love at first sight. In terms of the basic mechanics, very little has changed from the first game. You travel through the land, taking on quests, side quests, and general punch ups with hordes of baddies that will cross your path. What is noticeably different however, is the sheer increase in scale of it all. The game is so big that it's actually split into two halves. The first is like a doppelganger of the original title, following the mechanics as mentioned above. Although the game gives you free reign to travel around and encounter whomever you please, a word to the wise would be to not neglect the game's story for too long. To begin with, we played the game all ways of wrong. By just wondering into camp, we would be swamped every single time by enemies who took an instant dislike to us, which would see us die, and return to the beginning of the map. What were weren't aware of are certain travel points throughout the map, that need to be unlocked before you can fast travel throughout the land. By delving into the story, this lead us through the land at a steady pace. More importantly, each story won would offer a skill point which increases all your major whatsits needed to progress. These are essential, because you can be ambushed at any point by a brute of a bully, who won't take much to take you out and scupper your plans. And as with the first game, if you die in battle, your foe is given a pat on the back and a promotion, making them that little bit more deadlier if and when your paths cross again. I love a bit of a boogie at Halloween, don't you? And just when you think you've got a grip on middle earthly proceedings, act two comes crashing in from the wings. It's here that the game starts to get even more interesting. Anyone who may have played the first game will remember the nemesis system. It allowed you to check the level of your enemy and know what their strengths are. Some may be immune to stealth attacks, for example, or to be poisoned. Gathering intel also allows you to know, more importantly, their weaknesses, such as their dislike of being set on fire, or being attacked by beasts. This all returns for this sequel. Where it differs however, is in the new ability to recruit your foes and build an army of your own to take on Sauron. This is a significant improvement, that gives more depth to the already deep game-play. Depending on the type of character you recruit will depend on the type of foe you confront them with. Just don't necessarily put all your trust in them, as the game has a few twists and turns up its sleeves. The game has some annoying quirks though. Although the story in itself is vastly improved, there are so many strands and different quests and missions, it's easy to get lost in it all. Structurally it's a bit of a mess, and could have been helped by some direction to firm things up a bit. It's not helped by having various parts of the world split up into different maps. Occasionally it was awkward just trying to swap from one part to the next, often having to rely on fast travel to particular missions in a sub menu. Oddly the controls feel a bit out of sync too. It doesn't help when you get button combos to use flash up at times when they're not available. And sometimes the character just seem to respond to directions either, which is a pain when you're in a pickle surrounded by orcs. Probably the worst thing of all is being ambushed; you could be hanging out, doing your own thing, when out of nowhere this huge thug comes all up in your grill and giving it the big I am. And he invariably is too. You could have a go, but if you're not up to the challenge, you'll end up a goner. Sometimes, in games as well as life, it's OK to run away. It can all be quite challenging to begin with, but you soon get a swing of things. Or die a lot. As a mostly single player effort (there are some online quests, but they don't amount to much and can be sidelined if so desired), there is a whole lot of game here. You don't even have to be a fan of Lord of the Rings to enjoy it, but you probably get that little bit more out of it, in a geeky way, if you do. 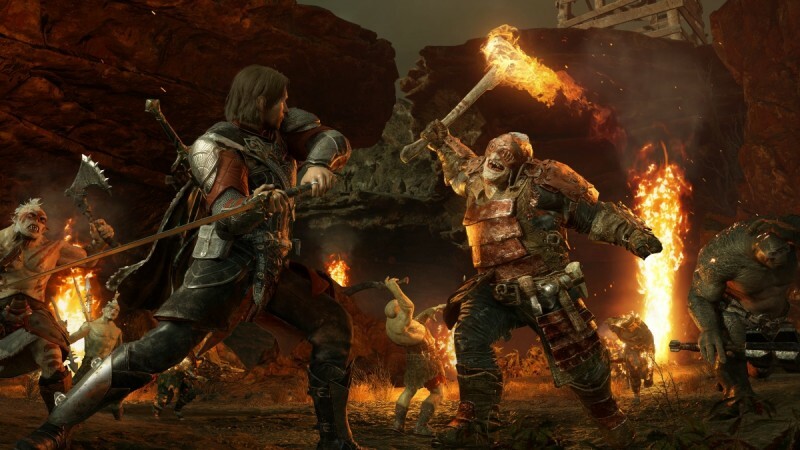 With the added strategy element of building up your own army, Middle-Earth: Shadow of War elevates itself from its predecessor, becoming more than just a roaming, shoot or hack and dash, into something a little bit more substantial. It has a mystical quality to it, drawing you in, deeper and deeper, until a world of orcs is all you really know. Don't bother fighting it, just go with the Tolkien flow and enjoy.